The battery is bulky, but, fits into my Petrol PS617 battery compartment...which is a similar size on the other Petrol bag's I've had in the past. 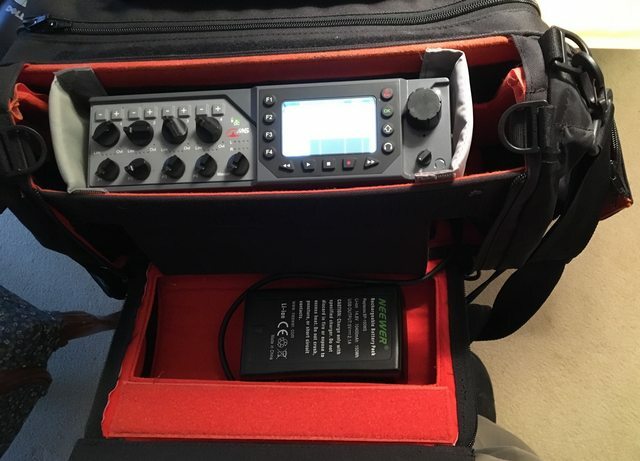 It has extra room to carry two sets of microphones and mounts...when I go festy mode I usually pack one set of microphones and a smaller Kata Koala mixer bag that just has a large compartment for extra accoutrements. I see no issues with that bag either. I'll run it this spring...may pick up a better charger and a couple of batteries if it goes as expected.